Happy Holidays from Smithsonian Libraries! Spine of book from Charles Freer’s collection, showing hand-written accession numbers. In addition to his art collection, Charles Lang Freer gave a substantial number of books from his personal library to the Smithsonian Institution. 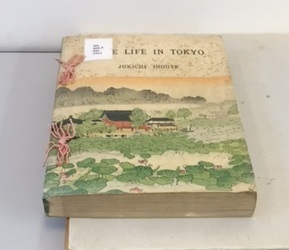 These books are wide ranging in subject matter including not only Asian and American Art but also mythology, anthropology, auction catalogs, and travel guides. 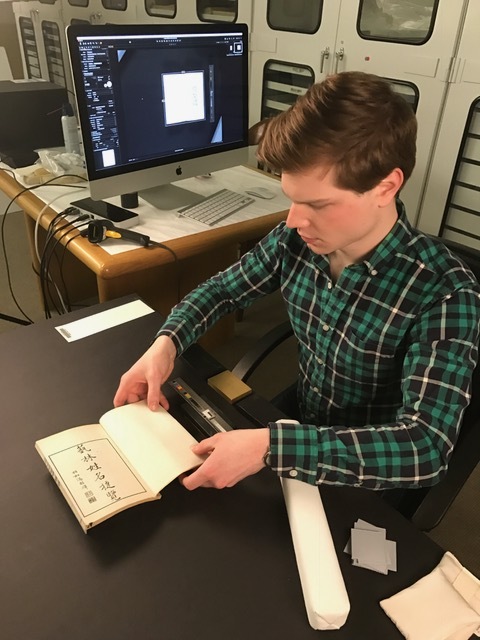 The Freer Gallery of Art and Arthur M. Sackler Gallery Library staff has been working to find them in its collection and identify Mr. Freer’s books in the Smithsonian Institution Research Information System (SIRIS). 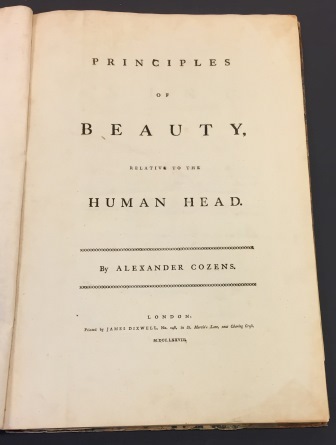 The book itself was in very good condition, however, after many years of protecting the soft-backed book, the portfolio enclosure had become damaged and was no longer functional. 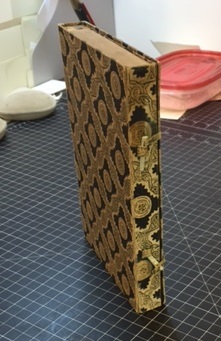 One spine piece of the structure had completely failed at its hinges; the decorative printed cloth and the paper linings had broken. The spine cloth fortunately was saved and sent along with the item. The Freer | Sackler Library of the Smithsonian Libraries have completed digitizing over 1100 volumes/41500 images from its collection of illustrated Japanese woodblock-printed books and manuscripts from the Edo and Meiji periods (1600-1912). The Libraries’ digitization project was generously funded by the Anne van Biema Endowment Fund. This post was contributed by Matt Alt. Matt is the co-founder of AltJapan Co., Ltd., a Tokyo-based localization company that specializes in producing the English versions of Japanese games, manga, and other entertainment. Together with Hiroko Yoda he is the co-author of Yokai Attack! The Japanese Monster Survival Guide, and the upcoming Japandemonium Illustrated: The Yokai Encyclopedias of Toriyama Sekien which features images from the Smithsonian Libraries volumes of Toriyma Sekien’s works. 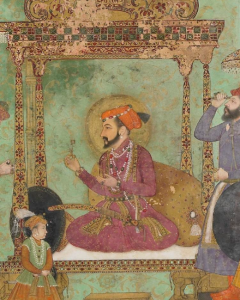 Detail of Shah Jahan enthroned with Mahabat Khan and a Shaykh, from the late Shah Jahan Album S1986.406. Courtesy of Arthur M. Sackler Gallery. This post was written by Keala Richard, intern in the Freer|Sackler Library during the summer of 2016. Keala is currently working towards a Masters in Library and Information Science at the University of Hawaii, Manoa. When I was a teenager, I spent countless afternoons gossiping and scheming with my best friend under the watchful eye of Mughal royalty. Her family’s collection of miniatures, stripped of their gilt borders and in many cases missing in-painting, still struck me as the most beautiful pieces in her parents’ massive collection of Indian art. Whenever I would sneak down the hall for midnight slumber party refrigerator raids, I would always stop and admire the princes and princesses painted in profile. When I first learned that I was awarded the Smithsonian Minority Awards Program Internship, I marveled at the serendipity of being selected for the Freer|Sackler Library’s Mughal Wikipedia Project. I would get to learn more about the gilded nobility on my best friend’s wall. 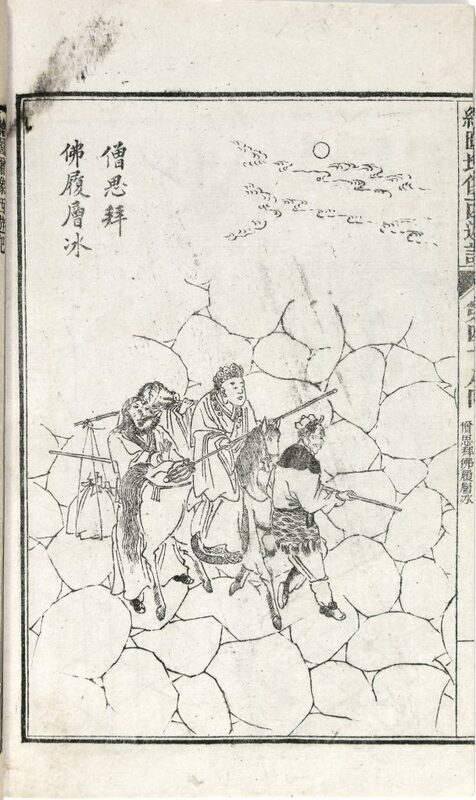 Illustration from Hui tu zeng xiang xi you ji, an 1891 illustrated version of the Journey to the West, from the Rockhill donation.